WHO: Celebrated conductor Dr. Everett McCorvey directs a symphony of vocalists and musicians from the UK Opera Theatre, including winners of Alltech’s Vocal Scholarship Competition. The celebration will also feature special guest performances by renowned musical artists. MORE: Celebration of Song exemplifies the passion and dedication that Alltech founders Dr. Pearse and Mrs. Deirdre Lyons have long felt for the local arts and marks the longstanding partnership between Alltech and the UK Opera Theatre. Follow the event and join the conversation on Facebook. 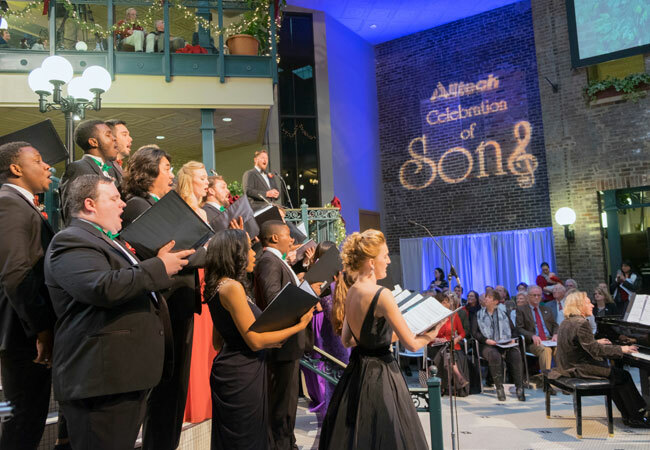 For more questions about Celebration of Song, contact the UK Opera Theatre at 859-257-9331.